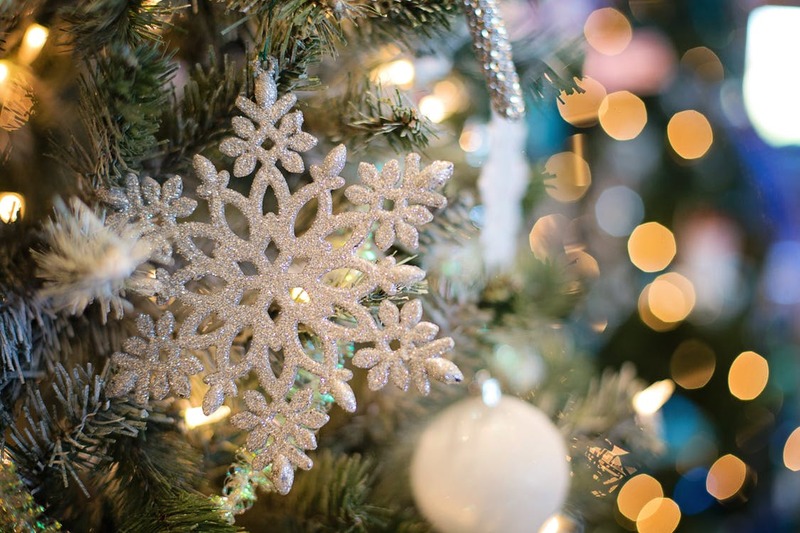 Whether you prefer traditional or modern, quirky or rustic, our interior design experts will be able to help you create a magical Christmas wonderland in your own home. Read on for our top tips. If you have a mantelpiece or some form of surface in your home (like a buffet or hallway table) decorate them with a mixture of pine, spruce and juniper. For a little extra sparkle, why not add some birch twigs, winterberry and silvery pinecones. If you can’t get your hands on the real thing, artificial greenery will also work a treat. If you have a staircase with a bannister, draping it with greenery and colourful ribbons will be a real focal point. You can even add a beautiful Christmas scent to any room of your home by sneaking some cinnamon sticks into your greenery. 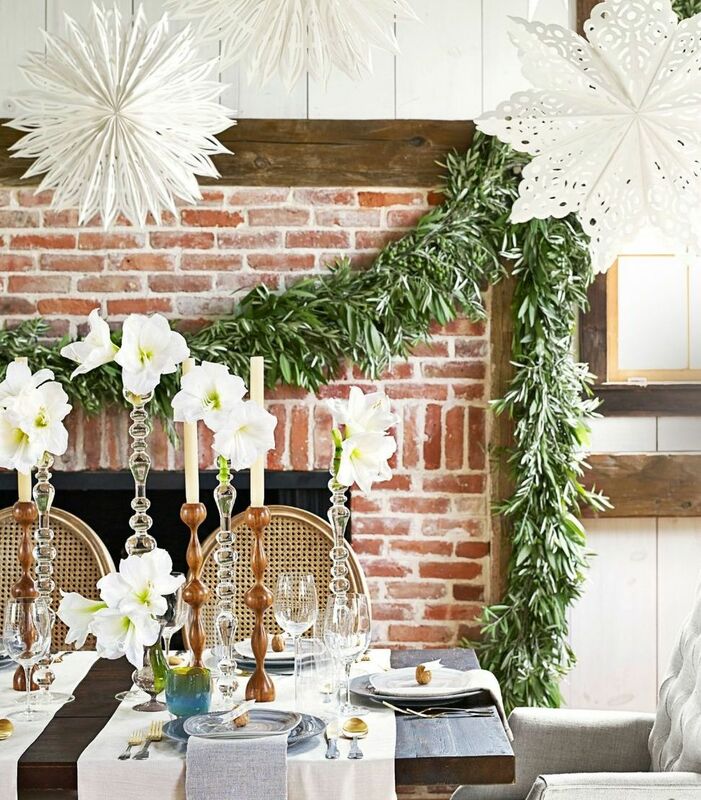 Create interest on your Christmas dining table by incorporating décor with different heights. You could start by hanging oversized snowflakes, and build up the table with tall candlesticks and smaller candle holders and candles. Rather than just chucking your cards on top of the fridge where they’ll be forgotten about until the New Year, hang your cards on some twine with decorative pegs or hang them from a rustic wooden ladder that’s been spruced up with some hanging greenery. Candy canes can be a lot more than just a tasty treat; they also make beautiful festive decorations (allowing your kids and pets won’t go on the hunt). If you don’t have sneaky little hands to worry about, they look beautiful as Christmas tree decorations. They also look wonderful hanging along the top of a window. 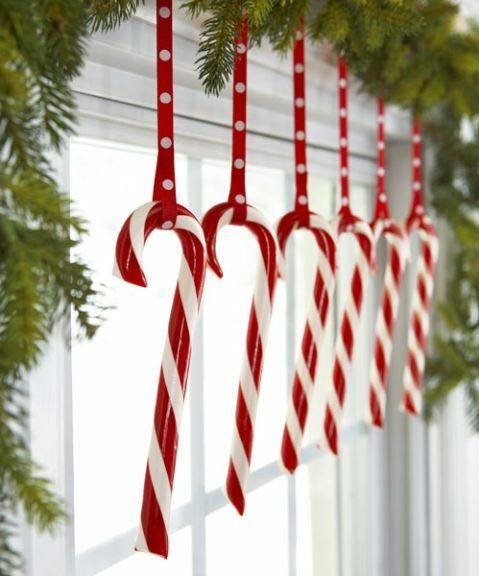 Simply hook them on with festive coloured ribbon and let them brighten your room all month long! 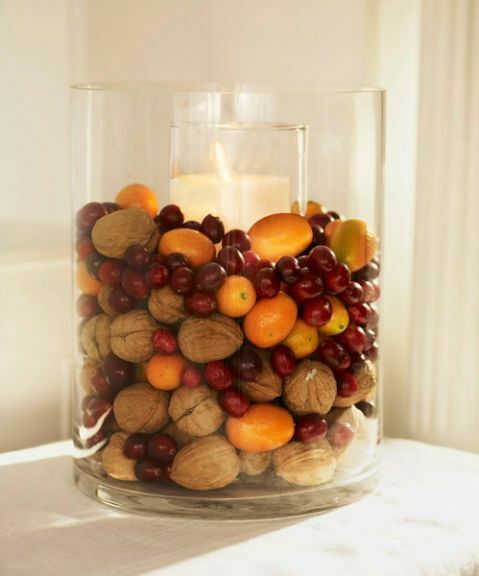 Mix some festive fruits and nuts in a glass jar, and accentuate it with a candle in the centre, and you’ll have the perfect centrepiece for your dining table. Another clever way to spice up your Christmas décor is by dressing your mantel with a combination of tall and short candlesticks made from mercury glass or crystal and separate them with a beautiful vase of fresh flowers. Instead of using white or ivory candles, opt for a mixture of red, cranberry and shades of green. 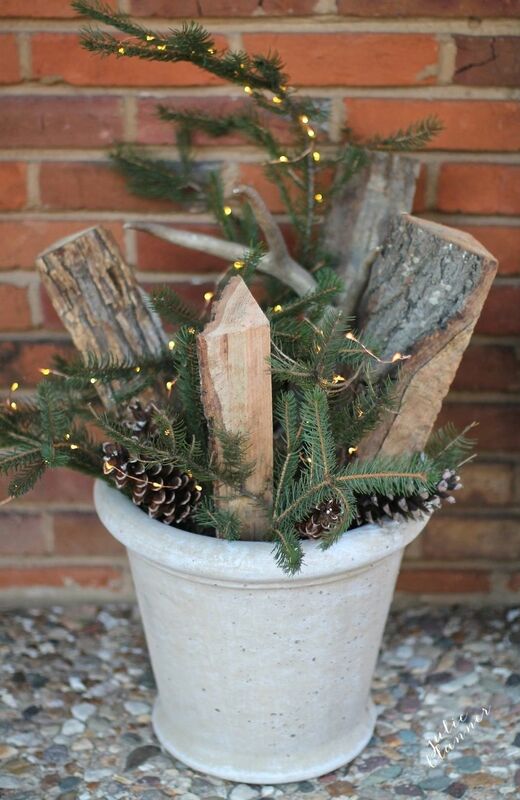 Something as simple as a small cement pot of wood can be made beautifully festive if you add a few sprigs of evergreen and some string lights. You could even make a Christmassy table runner with a long piece of greenery and a few pops of coloured fruit, like apples or pomegranate. Throw in a few lightly glittered pinecones for good measure and you’ll have yourself an eye-catching centrepiece. For assistance with your Christmas decorating or interior decorating Perth, ask Judith Molyneux Designs how we can help. As the specialists in interior design Perth, we can help add a festive touch to your home or business in preparation for your holiday festivities, or simply help you transform your home into a stylish haven.